Otterbein University will be nationally recognized as a model community of educators, leaders, and learners who set the pace for higher education and contribute to the common good. Otterbein is an inclusive community dedicated to educating the whole person in the context of humane values. Our mission is to prepare graduates to think deeply and broadly, to engage locally and globally, and to advance their professions and communities. 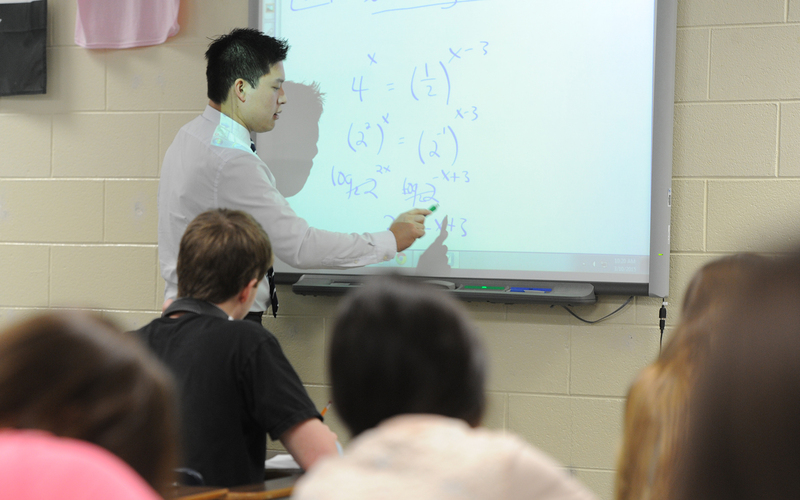 An Otterbein education is distinguished by the intentional blending of the liberal arts and professional studies, combined with a unique approach to integrating direct experience into all learning. We are committed to creating a culture that recognizes, respects, embraces, and values differences in the broadest sense. We are committed to sustaining an environment where all community members have the opportunity to fulfill their potential. We are committed to being inclusive - a historic value which led to the creation of a distinctive culture as a welcoming community and a sense of shared responsibility for the future of the University. We are committed to providing avenues for students, faculty, and staff to pursue opportunities to continue to develop their skills and knowledge either for the purposes of advancing their careers or for personal fulfillment. We are committed to remaining a “College of Opportunity” for students, faculty and staff with the potential to succeed at Otterbein. We are committed to fostering a culture of social responsibility, civic engagement, and meaningful service to our communities. We are committed to pursuing the ideal of sustainability in the decisions we make in planning the future of our community. Otterbein University was founded (as the Otterbein University of Ohio) in 1847 by the Church of the United Brethren in Christ and named after a co-founder of the Church, Philip William Otterbein, who was a German Reformed pastor and itinerant evangelist. In later years, the Church went through a merger with the Evangelical Association and became the Evangelical United Brethren Church (EUB) and then, through a second merger with the Methodist Church, became the current United Methodist Church. Otterbein was chartered by the State of Ohio in 1849, and granted its first degrees in 1857. It is currently approved by the University Senate of the United Methodist Church. From eight students in 1847, we have grown to a current enrollment of over 3,000. The University has historically seen its mission centered in a program of liberal arts education in the Christian tradition. While Otterbein has evolved into a comprehensive University, combining traditional liberal arts disciplines and professional programs, the liberal arts remain a foundation for our educational programs. Similarly, while Otterbein has always emphasized undergraduate education, the decisions to offer graduate degrees are also consistent with our history and mission. The University offered Ph.D. degrees from 1883 until 1895 and M.A. degrees until 1912, and when graduate programs in Education and Nursing were added in 1989 and 1993, one important rationale was that these programs would provide important benefits to the undergraduate curriculum. A Masters of Business Administration was added in 1997. First, from its founding, and as a reflection of Church practices and policies, Otterbein was intentionally and uncommonly inclusive with respect to women and people of color. Otterbein was among the first coeducational colleges in America, The College and the Community and probably the first college in the United States to be founded as coeducational and to admit women to the same programs of study as male students. From its opening, Otterbein employed female faculty members, and it was probably the first college to do so. Otterbein was also one of the first three colleges in the United States to be open to students of color, and College historians have argued that it deserves to be considered the first to be founded with that philosophy. Second, Otterbein has been unique in the development of a governance system that includes many campus constituencies in University decision-making. During the 1850s and 1860s, a number of faculty served as members of the Executive Committee. Since 1946, faculty and students have served in an advisory role on most trustee committees. In September, 1970, the University implemented a new governance system that is an extension of this inclusive heritage and that received much national attention. The new system provided for a single University Senate, composed of faculty, students, administrators, alumni, and trustees; it also added two elected student trustees and two elected faculty trustees as full voting members of the Board. Third, in 1968, Otterbein created an innovative general education initiative, the Integrative Studies Program. Originally known as the “Common Courses” in the early history of the institution, the Integrative Studies Program was also established, in keeping with the University’s spirit of inclusiveness and community, to provide sufficiently broad study of world culture to enable students to understand the continuum of ideas, movements, and patterns which has produced the civilization of the 21st century. Like our governance system, this program has also received national recognition by the Association of American Colleges and Universities. Recent revisions of the program underscore the themes of coherence, breadth of understanding, and intellectual community.